detox+cleanse contains a natural pea protein isolate to fuel natural detoxification pathways as well as a full multivitamin/mineral panel to support the liver’s enzymes. It includes the nutrients needed to support and balance phase I and II metabolic pathways, high levels of antioxidants for safe detoxification and a comprehensive array of herbal hepatics and cholagogues to promote healthy liver function and elimination. Ideal for any hormonal imbalance or to support detoxification in our modern world. 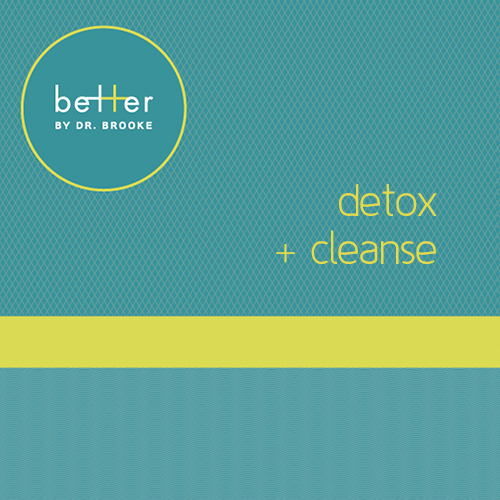 detox+cleanse is a comprehensive functional food powder ideal for detoxification. It is low in carbohydrates and has been assayed to reveal undetectable levels of lectins. This liver formula also contains the most comprehensive array of herbal hepatics, alteratives and cholagogues to promote optimal liver function and elimination. With a pleasant berry-vanilla flavor, a wonderful, smooth texture, and mixes easily in any beverage. It is free of dairy, gluten, and lactose, and is sweetened with the natural herb stevia. Made with non-GMO ingredients. Does contains shellfish derived ingredients, do not use if allergic to shellfish. Other Ingredients: Tapioca dextrin, natural berry fl‑avor, natural vanilla ‑flavor, vegetable cellulose, stevia leaf extract powder. Recommended Use: As a dietary supplement, mix 36 grams (approx. one scoop) in eight ounces of water or any other beverage per day, or as directed by your health care practitioner.